What makes Equinox Holistic Alternative School (Equinox) great is our people. We have such thoughtful students, teachers, staff, and parents. Each person, in their own way, is responsible for successfully contributing to building our caring and supportive school environment. We truly are a community. All Equinox families are required to commit a minimum of 20 volunteer hours each year to the school. 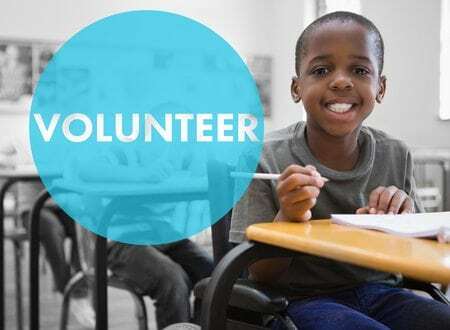 * Understandably, Equinox families lead very busy lives; however, there are numerous opportunities to easily achieve the required volunteer hours at our school. For example, anyone in your family can volunteer at the school, including grandparents, aunts and uncles, etc. You can choose to volunteer at the school, or on a field trip, or even from the comforts of your own home. Help in your child’s specific class or in any other grade(s) you feel comfortable sharing your skills, talents and expertise with. Don’t forget, you can also earn volunteer hours though Equinox’s School Council—help by writing a blog post, make crafts at home for the Winter Fair, do an hour or two of event set-up/tear-down, attend council meetings, and so much more. To help make volunteering easier, the School Council has launched an online form. This will allow you to better share with us how you would like to volunteer your time at the school. Please remember all in-class volunteers are required to complete a police check using the forms provided in the school’s front office. Instructions Please mark what skills, talents and expertise you would like to share with Equinox. Please select what grades your children are currently enrolled in at Equinox. Where would you be willing to volunteer at Equinox? I am only interested in volunteering in my child's specific class. I am open to helping any Equinox classroom, including my own child's class. Yes, I would also be open to volunteering to help with school actives and events hosted by the Equinox School Council. 1 Show your child the importance of giving back to their community—lead by example. 2 Becoming engaged and connected to your child’s education and daily school life can help improve communications with your child. 3 Meet teachers and staff who work with your child. 4 Socialize with other parents and families. 5 Help to create the best possible educational experience for your child. *Some families truly are in circumstances that make volunteering completely impossible. Please don’t fret, at Equinox we understand that not everyone is in a position to volunteer and that is okay too.